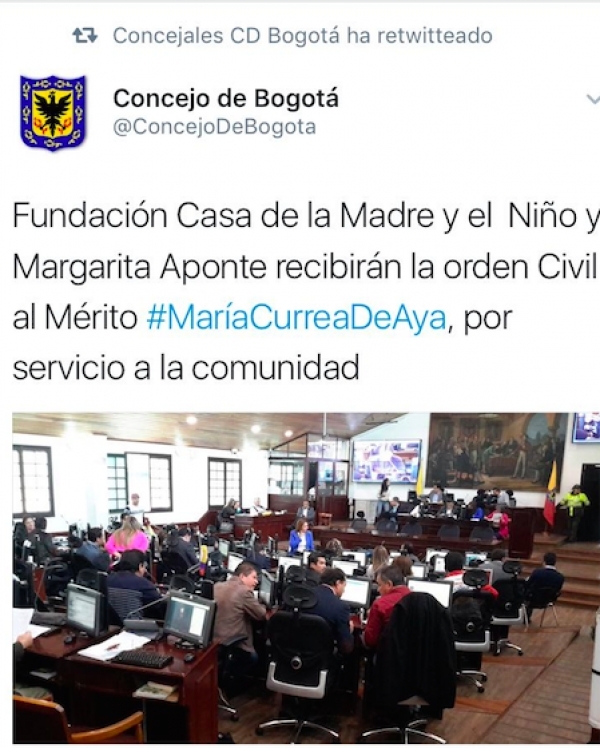 La Casa would like to share with great pride that next March 8th, we will be decorated with the Civil Order of Merit “Maria Currea de Aya”, awarded by the City Council of Bogota. We are receiving this recognition because our services to the community, and especially to the childhood under protection. According to the words of Barbara Escobar, Director of La Casa de la Madre y el Niño, who will receive the Order on behalf of the institution: “This is a great opportunity to recognize the efforts and to thank our tireless team and strategic allies, for deserving this honorable public recognition, on the part of the District authorities. We couldn’t be more proud.